The snack you just can't resist - honey roasted almonds. 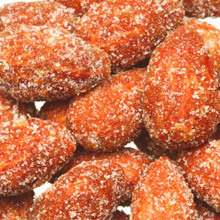 Enjoy these crunchy roasted almonds dipped in sweet honey. Price quoted is per pound, not including shipping.